Dan, Phil, Oscar, and Rainbow! Once a year the Instagram group known as @S2K_SoCal hosts a beach cruise in Huntington Beach, CA. 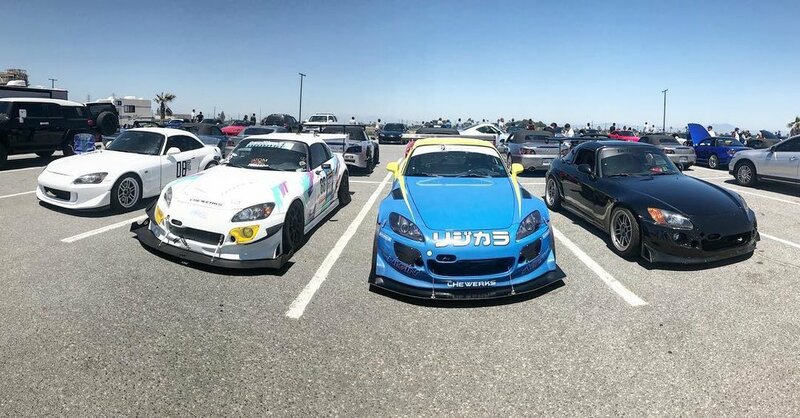 This cruise brings together S2000 owners from all over the Southern California and Southwest regions and even some from the Northwest. Each region came in a caravan, and everyone met at a marketplace parking lot at 10am. Then at 12pm we all rolled out to the beach. The number of drivers kept rising as the day went on, and the total count for the day was 253 S2000s! This was a great event, the weather was nice and everyone (for the most part) respected the venue. Follow @S2k_SoCal on Instagram for more coverage on this great beach cruise, as well as future events.